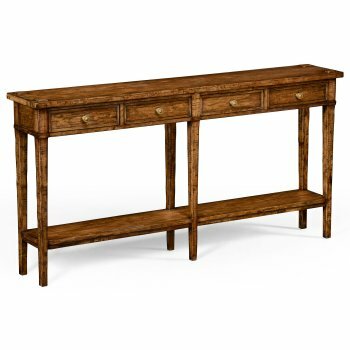 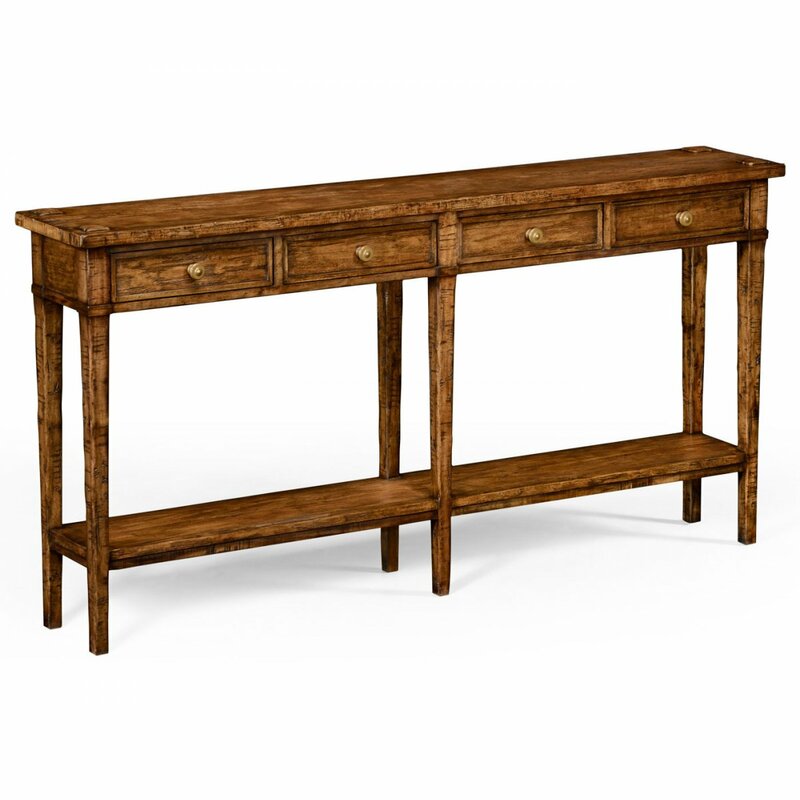 Placed along a wall or in a hallway, this stunning Jonathan Charles Country Style Walnut 4 Drawer Console Table with Shelf is no less eye-catching thanks to a strong linear shape and beautiful antique look. 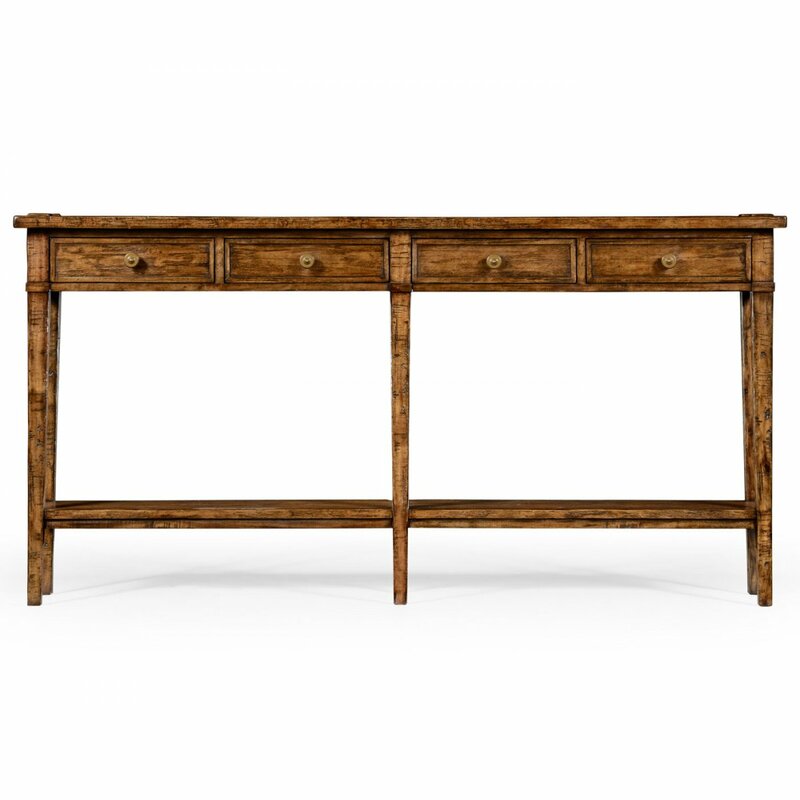 Rectangular walnut narrow console features a rustic finish and panelled top showing exposed saw marks above 4 drawers set on an open base with shelf. 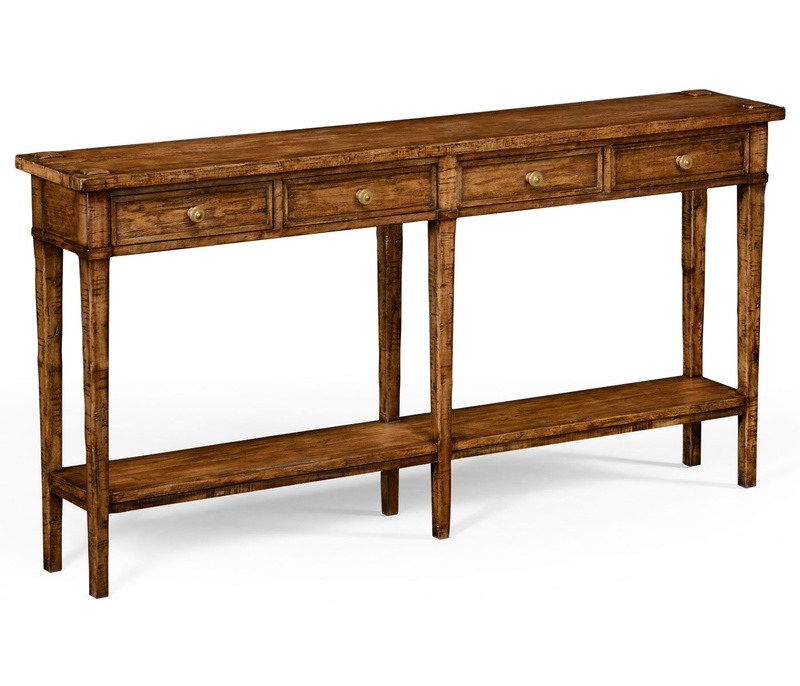 With ample storage below and the perfect amount of space above for your collection of decorative pieces or a beautiful lamp, this elegant piece brings a sophisticated touch to your living area. 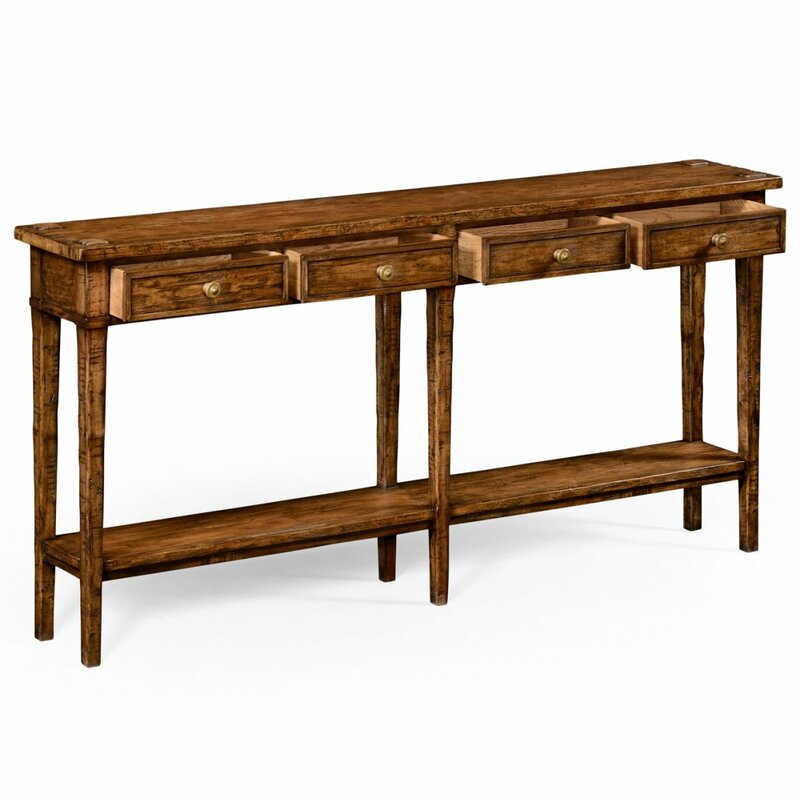 Coordinate with other furnishings from the Jonathan Charles Casually Country collection.